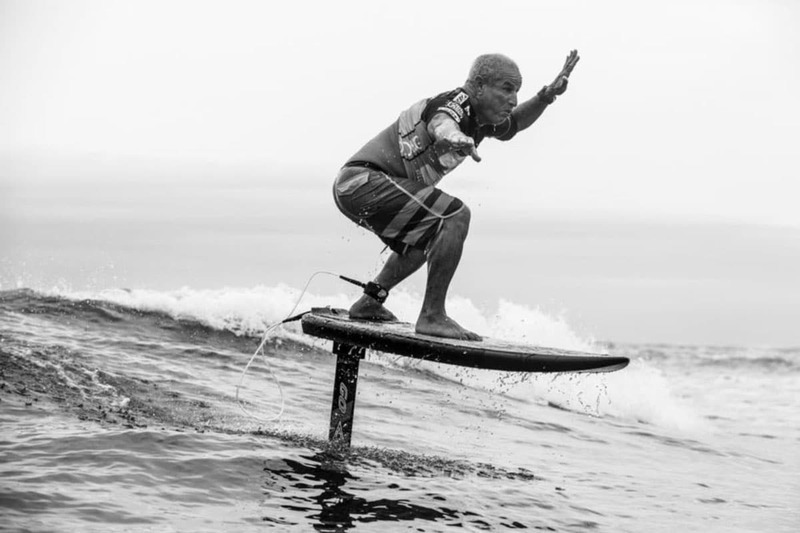 Foil surfing has been rapidly gaining popularity around the world and like many movements in surfing, Uncle Bryan has been on it since day one. 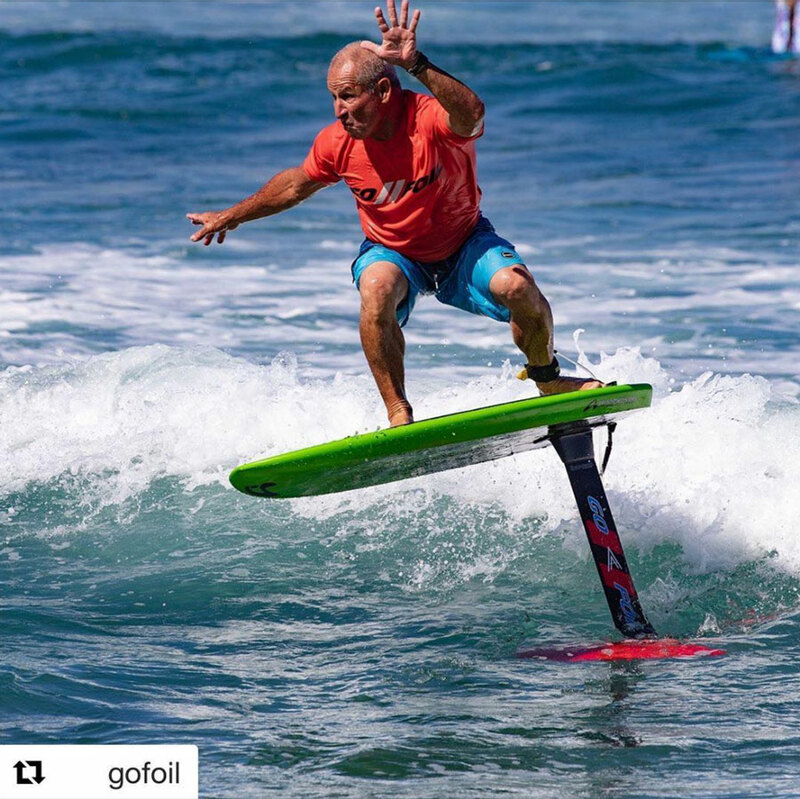 We thought he would never get off the SUP board, but flying over water is the new thing. Check out this video and photos shot by our friends on the North Shore! Uncle Bryan and his crew teach surf lessons at Puena Point, right on the edge of the town of Haleiwa, on the North Shore of Oahu. The gentle waves and long rides at Puena Point makes it a great place for learning to surf. 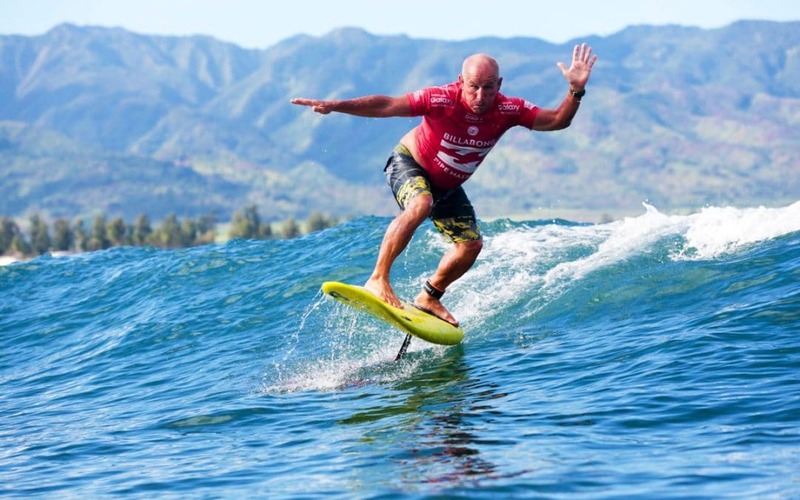 When students aren’t in the water, the wave is perfect for getting lift on a foil. 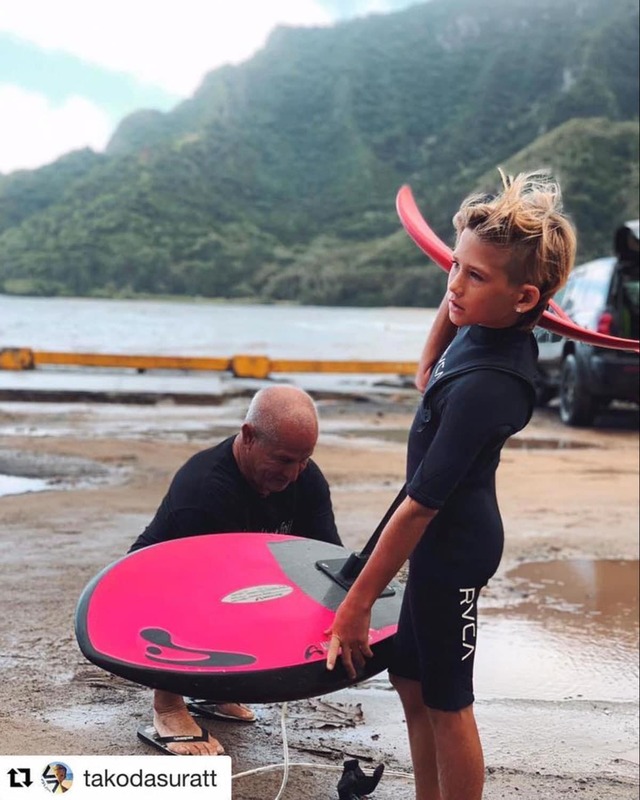 Above, Uncle Bryan works with his grandson, Takoda Suratt, to prepare his equipment before paddling out at Kahana Bay. Kahana Bay does not break often, but when it does, the wave through the bay provides some of the longest rides to be found on Oahu.